Here at ChiIL Live Shows we're huge fans of the work Collaboraction does, bringing social issues to the stage and bringing theatre to the neighborhoods. We're eager to see their next iteration, the world premiere of A Blue Island in the Red Sea. Welcome to the Grand Opening of the new Chicago Racism Museum, where community leaders and residents are gathering for a multimedia - and meta-theatrical - exhibit that explores the history of racism in Chicago. That’s the opening of A Blue Island in the Red Sea, a world premiere live theater docudrama that exposes the history Chicagoans often try to forget. Performances are April 12-May 20, 2018 in The Pentagon at Collaboraction Studios in the Flat Iron Arts Building, 1579 N. Milwaukee Ave., in Chicago’s Wicker Park neighborhood. Press opening is Wednesday, April 18 at 7:30 p.m.
Tickets are $15-30; $5-$15 for students, educators and industry. 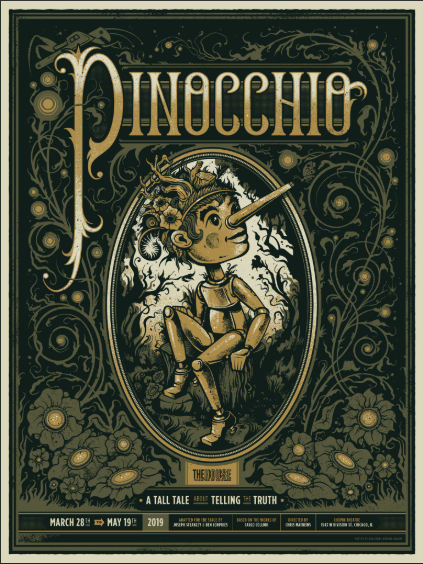 For tickets and information, visit collaboraction.org or call (312) 226-9633. 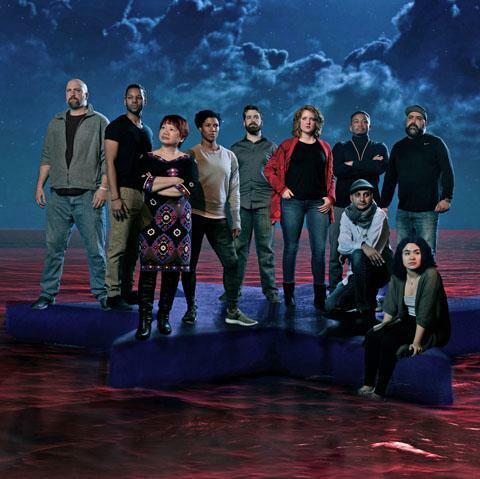 After its successful tour of Encounter, a mixed medium festival about racism and racial healing that toured Wicker Park, Lincoln Park, Hermosa, Austin and Englewood, Collaboraction continues to explore the harsh reality of systemic racism in Chicago with A Blue Island in the Red Sea. Collaboraction’s 2017-18 season finale is an original devised new work that presents a diverse cast of Chicagoans in a meta-theatrical live experience intended to open eyes and further the conversation about racism and racial healing in our city. 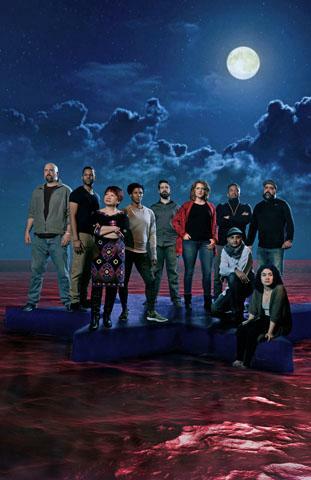 A Blue Island in the Red Sea, written and directed by Collaboraction Artistic Director Anthony Moseley, was created through open workshops in collaboration with a team of community members, actors and designers. Previews of A Blue Island in the Red Sea are Thursday through Saturday, April 12, 13 and 14 at 7:30 p.m.; Sunday, April 15 at 3 p.m.; and Tuesday, April 17 at 7:30 p.m. Press opening is Wednesday, April 18 at 7:30 p.m. No show Thursday, April 19. 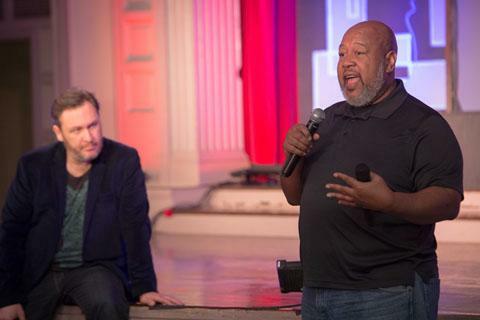 Performances continue through May 20: Thursday, Friday and Saturday at 7:30 p.m. and Sunday at 3 p.m. Industry nights are Monday, May 7 and 14 at 7:30 p.m.
Dr. Marcus Robinson at Encounter festival talk-backs in Englewood and Hermosa earlier this year. Collaboraction Managing Director Dr. Marcus Robinson will bring his deep experience in community development, social justice, and transformation to lead the post-show fireside conversation after every show. Audiences at Collaboraction are often a mix of people with power and privilege, sitting along side those who experience social injustice every day. So expect these conversations, led by a proud resident of Englewood, to pop. Designers are Jose Manuel Diaz-Soto (Scenic Design), Elsa Hiltner (Costume Design), Levert Wilkins and Jeremy Getz (Lighting Design), Liviu Pasare and Parker Langvardt (Video Design), John Nichols (Sound Design) and Katy Vest (Properties Design). ﻿The production team includes Sarah Moeller (Producer), Noelle Hedges-Goettl (Production Manager), Caitlin Body (Stage Manager), Genevieve Fowler (Assistant Director), Nate Ferguson (Script Supervisor), Giulianna Marchese (Dramaturg), Manny Ortiz (Technical Director), Chas Mathieu (Scenic Painter and Assistant Scenic Design), Becs Bartle (Master Electrician) and Sunniva Holmlund (Assistant Stage Manager). 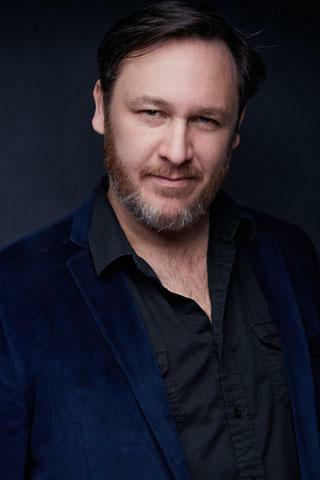 Anthony Moseley (writer, director) has been the Executive Artistic Director of Collaboraction Theatre Company since 1999 and has produced over 60 productions, 17 festivals and numerous other artistic productions. He has led the company’s transformation from a Chicago storefront into a change agent that uses original, devised theatre and deep community collaboration to cultivate knowledge, empathy, dialogue and action around critical social issues. In 2013, he co-devised and directed Crime Scene: A Chicago Anthology, a docudrama about the root causes of violence in Chicago, which drew on over 250 sources. The show, and its subsequent four sequels, toured Chicago for three years. During its 125 performances, it reached over 25,000 Chicagoans. Each performance also featured dance battle tournaments, free community meals and town hall discussions. 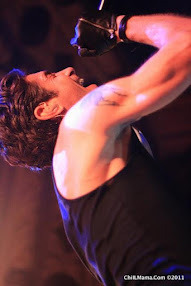 Anthony then initiated Collaboraction’s annual Peacebook festival, a collection of 24 world premiere pieces featuring over 235 artists, which opens at the Goodman Theatre each year before touring the city. In 2014, he co-wrote, co-directed and acted in This is Not a Cure For Cancer, an existential dramedy inspired by his father's battle with cancer. He wrote and directed Connected, a show exploring our relationship with technology. Moseley is also a collaborative partner with his wife and soul-mate, Chicago artist Sandra Delgado. Collaboraction (collaboraction.org), Chicago’s social contemporary theater, continues its tradition of provocative and powerful world premieres that take on Chicago’s most pressing social issues with A Blue Island in the Red Sea. Collaboraction collaborates with a diverse community of Chicagoans, artists and community activists to create original theatrical experiences that push artistic boundaries and explore critical social issues. Collaboraction has worked with more than 3,000 artists to bring more than 60 productions and events to more than 100,000 audience members. Collaboraction is led by Artistic Director Anthony Moseley, Managing Director Dr. Marcus Robinson, a company of 20 talented Chicago theater artists, and a dedicated staff and board of directors. 1579 N. Milwaukee Ave., at the epicenter of Chicago’s Wicker Park and Bucktown neighborhoods. The company’s collective three-space venue, Collaboraction Studios, includes The Pentagon, The Vault and The Salon, encompassing 8,000 square feet on the third floor of the historic building. Collaboraction Studios is home to Collaboraction’s productions, the work of its Teen Peacemakers Ensemble in partnership with After School Matters, as well as a wide variety of visiting Chicago theater and dance companies and comedy groups. Collaboraction Studios are also the home of Collaboraction For-Hire, which creates custom special event design for private, corporate and civic clients, including the Art Institute, the City of Chicago and many more. Collaboraction’s vision is to utilize theatre to cultivate theater, dialogue and action around our most critical social issues throughout Chicago. For the past five years, Collaboraction has partnered with the Chicago Park District through their Nights Out in the Parks program to cultivate relationships and theater in Englewood, Austin and Hermosa through the Crime Scene, Peacebook and Encounter tours. Other production highlights include Sarah Moeller’s Forgotten Future: The Education Project; 15 years of the SKETCHBOOK Festival; the Chicago premiere of 1001 by Jason Grote; the world premiere of Jon by George Saunders and directed by Seth Bockley; and The Intelligent Design of Jenny Chow: an instant message with excitable music by Rolin Jones. Collaboraction is supported by The Chicago Community Trust, The Joyce Foundation, DCASE and the Wicker Park & Bucktown SSA #33 Chamber of Commerce. This program is partially supported by a grant from the National Endowment for the Arts and Illinois Arts Council, a state agency. 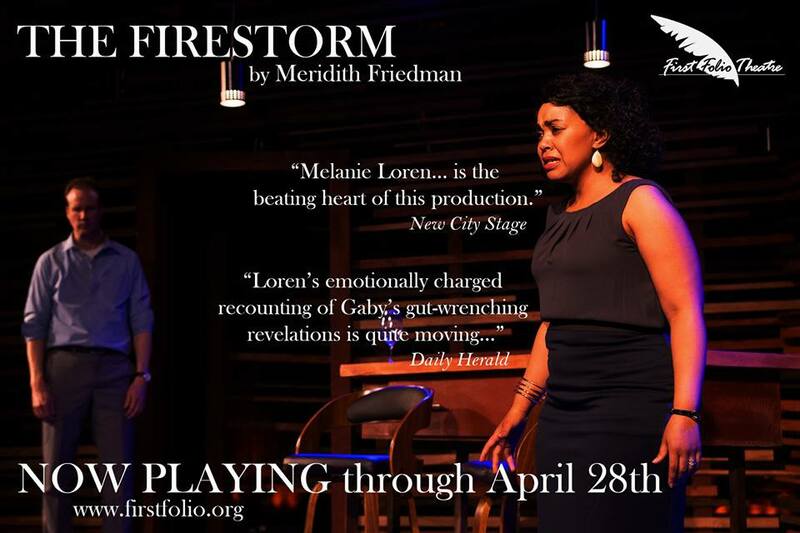 For more, visit collaboraction.org, follow the company on Twitter, Facebook, Tumblr, YouTube or Instagram, or call the Collaboraction box office, (312) 226-9633.